When I think back to when Mr Boo and I decided to have children, there were certain aspects of our life that we needed to make sure had in order. Having recently been married we could check that off the list (I’m very old fashioned in that I wanted to be married before children), living in a one bedroom third floor flat isn’t exactly the best place to start a family and luckily after many (many!) house hunting nightmares we managed to find our current home and found out we were expecting (New house, new baby and all that). During the pregnancy we discussed finding out whether Roo was going to be a girl or a boy, we couldn’t decide whether to find out or not and as fate would have it she had her legs crossed and the sonographer was unable to tell us. The remaining weeks passed in a blur of moving home, decorating the nursery and shopping for all the necessary baby supplies. 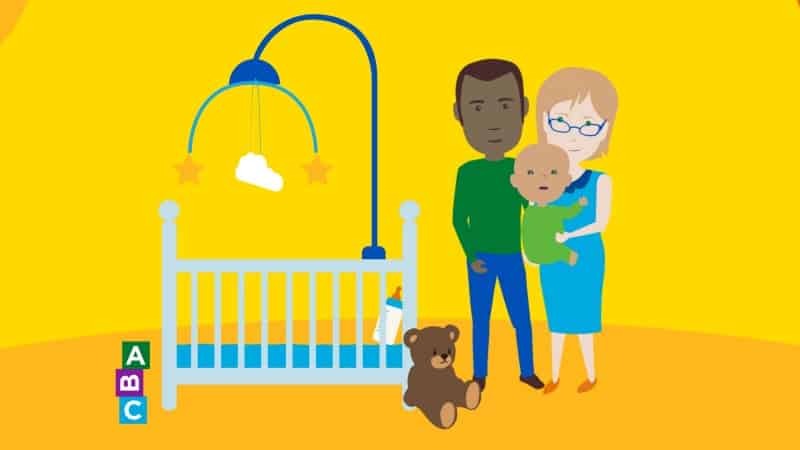 I wish we had seen the Aviva Life Protection video (see below) which gives some great advice about having a baby from gathering the essentials, to getting out and about with baby and planning for a what the future holds. Thinking about the future it’s easy to just see the happy times, from baby’s first step, first day at school etc but sometimes the rain falls and life can take a turn in a direction you weren’t planning on, this is when life insurance really becomes a life saver for those left behind. It was only when we re-mortgaged that we gave life insurance any thought, and then it was only because our advisor asked us about it. What would we do if something bad happened? How would we manage? It soon became clear that we needed to plan for the worst as well as those brighter days and we made sure we took out a life insurance policy to give us peace of mind. Have you thought about what the future holds for you and your children? Aviva want to hear from you, whether it is the birth of your first child or the purchase of your first home, Aviva want to know which moments in your life have had the most impact in their #milestonemoments competition over on their Facebook page. The competition runs from the 10th- 14th November and lucky participants will stand the chance of winning £250 worth of high street vouchers! Great tips, I would agree with all of them! Ooo that video would have been super useful first time round! I think it’s great that parents kind find this info online these days, back in the day you had to read a book and hope it covered what you were looking for! Great advice for new parents, and it has reminded me that we still haven’t sorted out our wills. Love the video. Is just reminding us the important things in life and one of these is to remember that we have to make sure we look after our kids even after we leave this world.